On March 15th, 1994, I quit my full time with the local government, hired James Paulus (still with us today), and started “Keystroke Quality Designs” as a sole proprietorship - “Quality computers, by design” was our motto. In 1998 we incorporated as Keystroke Quality Computing Inc., as an IT company focused on computer sales, service, and networking. In 2007, we changed directions, and decided to specialize in Act! CRM, which I had just been certified in. 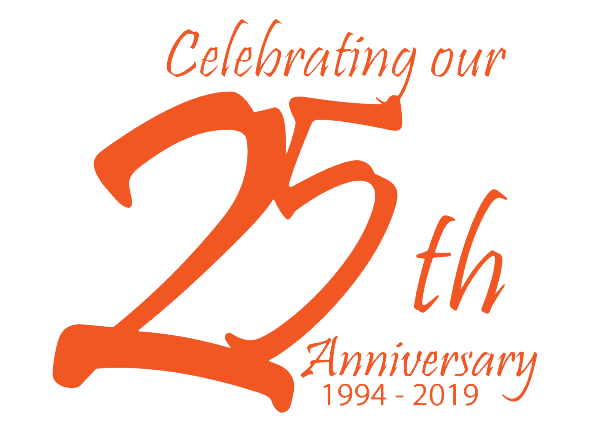 After 25 years of continuous growth and success, myself and the team at Keystroke are excited to announce we’re celebrating our silver jubilee with our customers by giving away a one-year subscription to one of our top selling products. Prizes include a subscription to such products as Handheld Contact, Knowtifier, MailManager4act! and Tables4Act, just to name a few, and the best part is if you win, you get to choose your prize from the list! You are only 2 steps away from entering the contest! That's it. Contest starts today and will end on March 31st, so don't delay! Good luck!